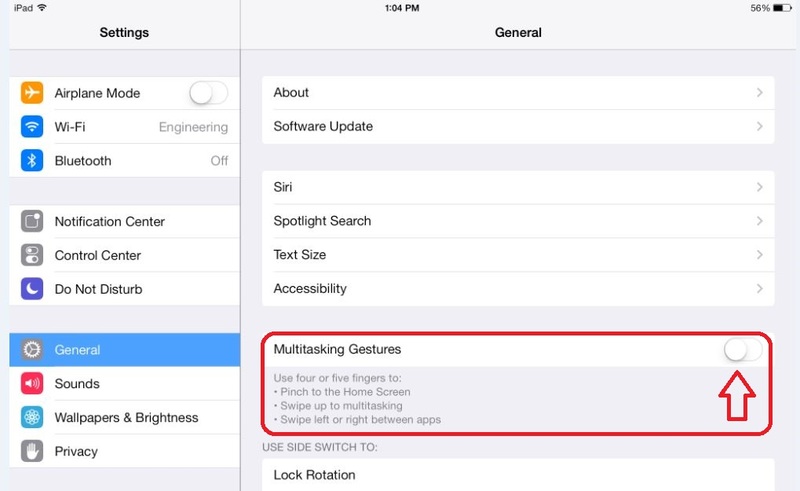 If you're having trouble with swiping channels left and right in landscape mode with SL Remote,you'll need to disable "Multi-Touch Gestures" found in your Settings of your iPad. This iOS feature is on by default in iOS 6.1.4 and any version of iOS 7.0. If you want to use Multi-Touch Gestures with your other apps you'll need to toggle it off before launching SL Remote and toggle it on again when you're done.